With COVERmat floor coverings can be laid graphically. This can be a wooden deck, a tile floor or also coverings like ceiling panels or facades of wood or metal. About various settings various patterns can be generated. These are angel, joint width, shifting of subdivisions etc. By using different materials eccentric designs can be created. From the planning the program creates a detailed parts list and thus determines the exact material requirements. Each part is displayed with dimensioning which specifies all cutouts and miters. If necessary COVERmat also creates a cutting plan. This is especially handy for rod material like wpc, wooden planks or ceiling panels. These are usually offered by manufacturers in unit sizes (for example 6, 5, 4 or 3 meters). Due to the often high cost of materials, the sizes should be ordered so that the waste is ultimately as low as possible. This is computed by COVERmat automatically. 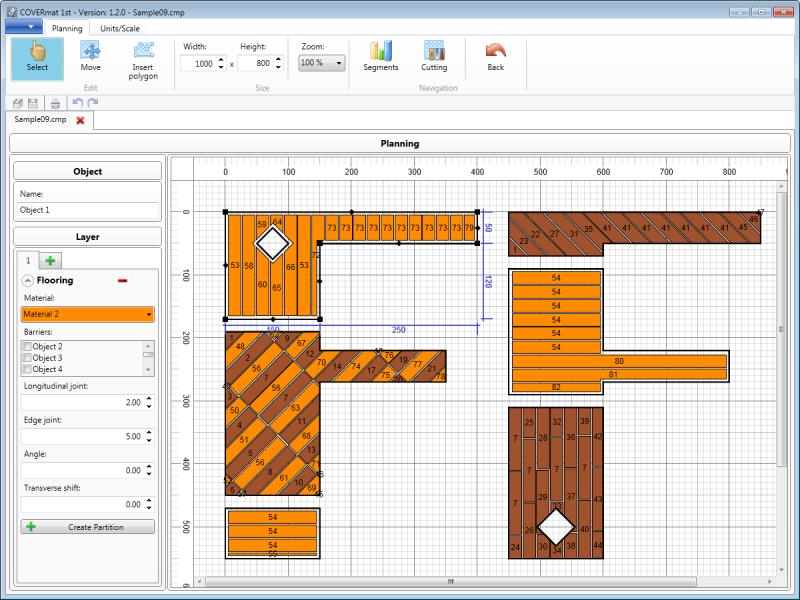 COVERmat is simple and easy to use and requires no special knowledge of CAD. Several example projects are included that demonstrate the various capabilities of the software. This site does not contain serial number, crack, keygen COVERmat serial number : serial number is the simplest type of crack. A serial number(cdkey,product key,etc) is register the program as you may already know. a crack or keygen may contain harmful software. If you cannot find the exact version you want, just give it a try. for more information read .nfo/.txt/.diz file include in zipped file.